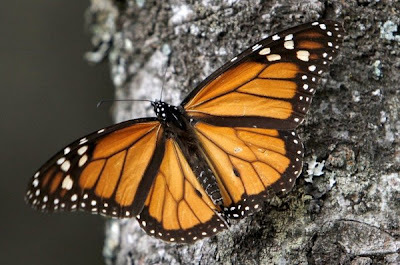 MEXICO CITY —The amount of Monarch butterflies wintering in Mexico dropped 59 percent this year, falling to the lowest level since comparable record-keeping began 20 years ago, scientists reported Wednesday. The decline now marks a statistical long-term trend and can no longer be seen as a combination of yearly or seasonal events, the experts said. But they differed on the possible causes. 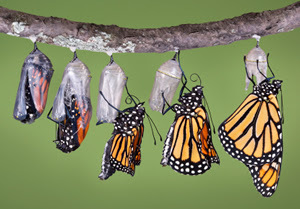 The World Wildlife Fund, one of the groups that sponsored the butterfly census, blamed climate conditions and agricultural practices, especially the use of pesticides that kill off the Monarchs' main food source, milkweed. The butterflies breed and live in the north in the summer, and migrate to Mexico in the winter. "The decrease of Monarch butterflies ... probably is due to the negative effects of reduction in milkweed and extreme variation in the United States and Canada," the fund and its partner organizations said in a statement. Omar Vidal, the World Wildlife Fund director in Mexico, said: "The conservation of the Monarch butterfly is a shared responsibility between Mexico, the United States and Canada. By protecting the reserves and having practically eliminated large-scale illegal logging, Mexico has done its part. Debate over loggingLogging was once considered the main threat to the reserve, located west of Mexico City. At its peak in 2005, logging devastated as many as 1,140 acres (461 hectares) annually in the reserve, which covers 193,000 acres (56,259-hectares). But a 2012 aerial survey showed almost no detectable logging, the first time that logging had not been found in detectable amounts since the mountaintop forests were declared a nature reserve in 2000. However, Brower differed on whether small-scale logging, the diversion of water resources and other disruptive activity in the reserves in Mexico are playing a role in the decline. "To blame the low numbers of monarchs solely on what is happening north of Mexico is misleading," Brower said. "Herbiciding of soybean and corn fields that kills milkweed is a serious problem, but the historical decline over the past 19 years has multiple causes. "All three countries need to face up to the fact that it is our collective activities that are killing the migratory phenomenon of the Monarch butterfly," he said. Environmentalist and writer Homero Aridjis praised Mexico for progress in reducing illegal logging, but added that "low intensity logging, not detected in satellite image analysis, continues unabated in and near critical overwintering habitats." The head of Mexico's nature reserves, Luis Fueyo, said there are still some problem to be solved at the wintering grounds in Mexico, including some small-scale logging and water availability. The Monarchs don't drink any water throughout their long migration until the reach Mexico, and the mountain streams in the area have been affected by drought and human use. The migration is an inherited trait. No butterfly lives to make the round trip. The millions of Monarchs cluster so densely on tree boughs in the reserve that researchers don't count their individual numbers but rather measure the amount of forest they cover. This winter, the butterflies covered just 2.93 acres (1.19 hectares), down from 7.14 acres (2.89 hectares) last year. 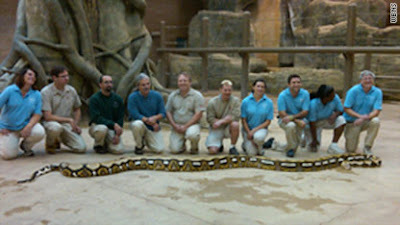 Fluffy, at 24 feet, was recognized by Guinness World Records as the world's longest snake. 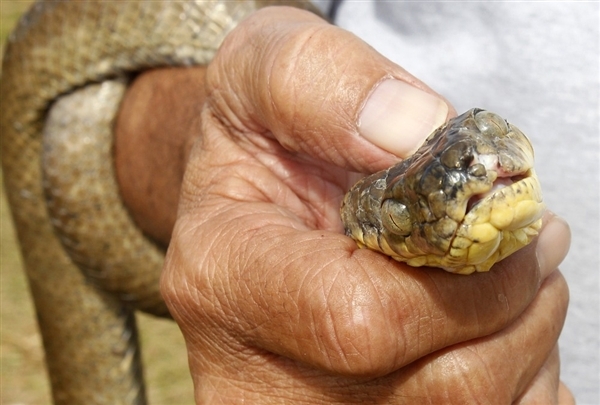 The world's longest snake – at 24 feet and 300 pounds – has died at a zoo in Ohio. Fluffy, a reticulated python recognized by Guinness World Records as the world's longest snake, died Tuesday night. A necropsy found a tumor on her ovary, according to a press release from the Columbus Zoo and Aquarium. "She was greatly loved here by the staff, mainly because she was a gentle snake," zoo spokeswoman Carrie Pratt told CNN affiliate WBNS-TV. Fluffy was 18 years old and had lived since 2007 at the Columbus Zoo, which had built a special habitat for her. Reticulated pythons are nonvenomous constrictors found in tropical forests in Southeast Asia, according to the zoo's website. They are the world's longest snakes, averaging 10 to 20 feet in length. 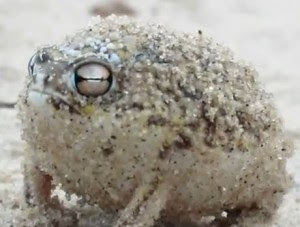 They live on small mammals like rodents but sometimes eat wild pigs, deer and primates. I think this is possible, but not by a flash of fire and you are incinerated. My guess is a slow smoldering fire that finally transforms the body into cinders. 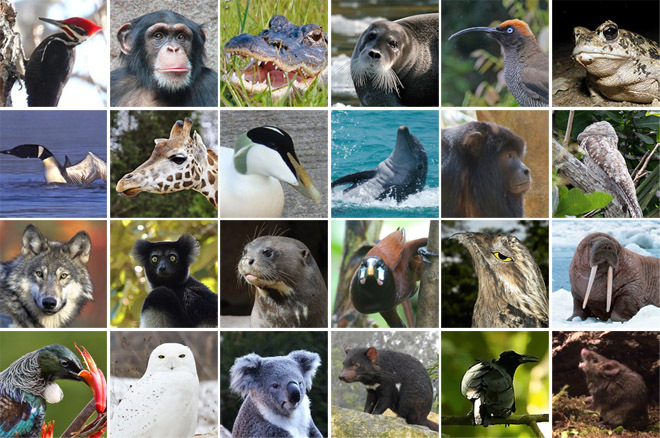 The murmurs, whispers, shrieks and growls of 9,000 species are now digitized in a huge library of animal sounds, including some songs that will never be sung again. Housed at the Cornell Lab of Ornithology, the Macaulay Library's audio archive contains roughly 150,000 high-resolution recordings, all available online. It’s the largest collection of wildlife sounds in the world, and routinely called upon by students, scholars, scientists, and filmmakers. Digitizing the collection took 12 years. Now, the 10 terabytes of tracks have a total playback time of more than 7,500 hours. Supplementing that auditory cacophony are thousands of video clips, and a photo archive is on the way. The collection's inaugural recordings date back to 1929, when a song sparrow, rose-breasted grosbeak, and house wren were recorded singing near the shores of Cayuga Lake. The youngest bird in the collection is an ostrich – recorded while still in the its egg. Also tucked into the collection are recordings of the now-extinct Kauai Oo and the (most-likely) extinct ivory-billed woodpecker. Preserving these natural sounds for future generations is certainly one of the collection’s functions.